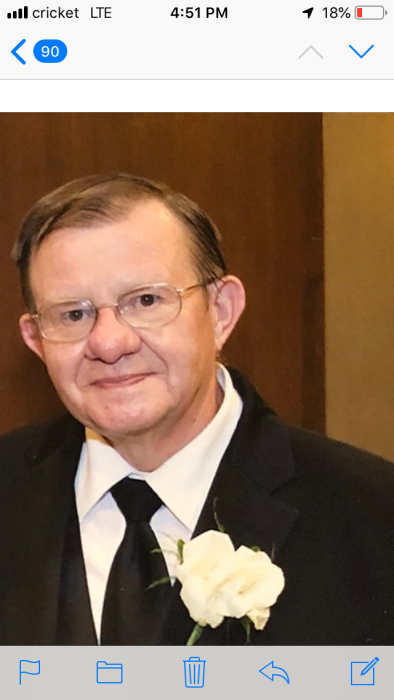 Gerald A. Luptak, age 73, of Bethel Park, ​passed away peacefully surrounded by his family on Monday, April 1, 2019​. ​Gerry was the beloved husband ​of 46 years of Patricia (Deak) Luptak, loving father of Andrew (Elizabeth), Amy Stepson (Steve) & Jeffrey (Sarah), brother of Andrea Gibb, Christine Dolney (James) & Alan (Dina), grandfather "Pap Pap" of Thomas and Jeremy​, and "Fur Dad" to Milo and Leo. ​​He was also greatly loved by his many nieces and nephews. Gerry worked for US Airways ​as an aircraft mechanic ​for 37 years, ​was a member of the ​​IAM Potomac ​Air Lodge #1976, and ​in retirement was a school bus driver ​for the Bethel Park School District. Visitation ​will take place Thursday 2-4 & 6-8 p.m. at the David J. Henney Funeral Home, 6364 Library Road (RT 88), Library. ​Services will be held at the same location Friday at 11:00 a.m. Contributions may be made to Pittsburgh Aviation Animal Rescue Team, www.nodogleftbehind.org or ​the American Diabetes Association.